CORTLAND, N.Y. — It’s now a little more challenging for a vehicle lift to earn an Automotive Lift Institute (ALI) gold certification label—and that’s good news for lift operator safety. ANSI/ALI ALCTV is the safety standard that covers vehicle lift design, construction, testing and validation. The current edition, ANSI/ALI ALCTV: 2017, took effect July 24, 2018, replacing its predecessor, ANSI/ALI ALCTV: 2011. While the major design and construction requirements of the standard remain intact, significant updates were made to strengthen the testing that must be performed by a Nationally Recognized Testing Laboratory to confirm that a lift meets these requirements. Changes include expanding the testing requirements for load-holding devices (also known as “latches” or “locks”) and increasing the number of test cycles. International Building Code and a number of state, provincial and local regulations mandate that only lifts certified to meet ANSI/ALI ALCTV can be installed. These certified lifts wear the ALI Gold Label and are listed in ALI’s online directory of certified lifts found here: www.autolift.org/ali-directory-of-certified-lifts. All lifts that are certified to meet the current edition of the standard are listed. In addition to the testing requirement changes, ANSI/ALI ALCTV: 2017 explains the difference between lift accessories and lift attachments, and clarifies which aspects of the standard apply to each. The current edition also includes a new section of requirements for wireless controls. Facilities with lifts that were certified to the prior edition of the standard do not need to take any action as a result of the update. However, when shopping for a new lift, do not assume that a previously certified model is certified to the current edition of the standard. Any lift model that was certified to the 2011 edition of the standard had to be tested to verify that it met all of the new requirements in order to be recertified. To confirm that a lift is certified to the current standard, visit www.autolift.org/ali-directory-of-certified-lifts or look for the new ALI Gold Label with ANSI/ALI ALCTV: 2017 at the top. 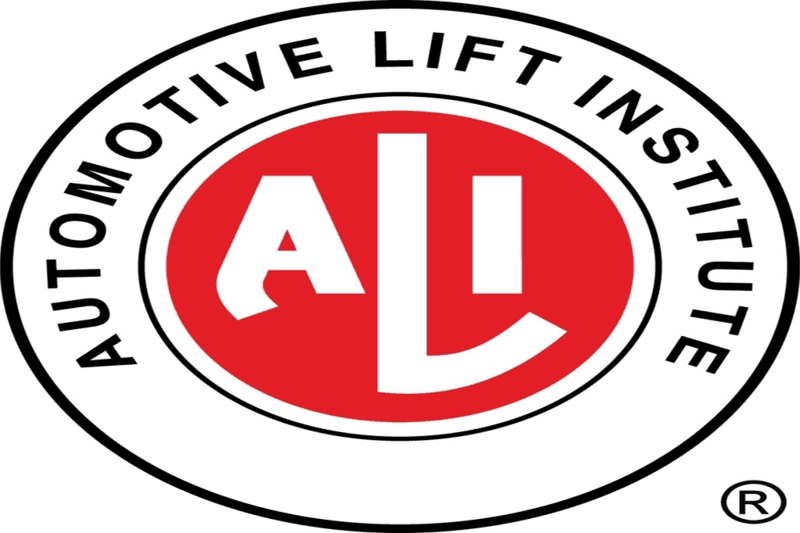 Founded in 1945, the Automotive Lift Institute (ALI) is a trade association of North American-based lift manufacturers. ALI’s mission is to promote the safe design, construction, installation, service, inspection and use of automotive lifts. In 1947, ALI developed the first Commercial Standard covering vehicle lifts published by the National Bureau of Standards. Today, ALI sponsors several national lift safety standards, and offers third-party certification programs for automotive lifts and automotive lift inspectors.